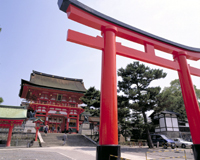 Free day to explore Tokyo at your leisure or purchase an optional full day tour to Nikko or Kamakura & Yokohama. Lunch will be provided at a Hotel/Restaurant in Hakone. In the afternoon we proceed to the Hakone National Park where we will take a cable car ride with the opportunity to see the magnificent volcanic Hakone mountain range below. We will then travel to the Owakudani Boiling Valley where you will see ancient volcanic craters with sulphurous fumes and clouds of steam spiralling from crevasses across the mountain side giving a truly mystical image. We then proceed with our tour for a boat cruise on Lake Ashi, which is set in serene natural beauty, where weather permitting spectacular views of Mount Fuji can be seen silhouetted in the lake. Later we return to our hotel in Tokyo. (includes: Lunch). This morning take the self transfer by Express train from Shinjuku station to Matsumoto and upon arrival walk to your accommodation which is conveniently located near JR Matsumoto train station. 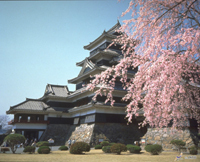 During your free time in Matsumoto we recommend visiting Matsumoto castle, known as 'crow castle' due to its unique black exterior. 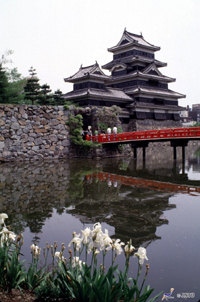 Matsumoto castle is one of only four castles designated as National Treasures of Japan and is stunningly beautiful. Afterwards stroll around the traditional old quarter (Nawate Dori). For your convenience and due to luggage restriction on the bullet train, we have arrange free luggage transfer to take your large luggage directly to Kyoto (1 bag per person). Prepare a light carry bag for your stay in Matsumoto & Tsumago. Today take an early morning unasisted transfer by train to Nagiso train station (train leaves at 7:00am) and then take the local bus or taxi for the short journey to to the old postal town of Tsumago (bus or taxi fare not included, approx 9 min journey). Once at Tsumago check into your accommodation. During your time in Tsumago we recommend walking the Magome-Tsumago Trail. The trail leads through the hilly countryside and passes right alongside the houses and fields of local residents. This was a trail which formed part of the Nakasendo postal route between Kyoto and Edo (Tokyo). The town of Magome has been beautifully restored in contrasts with the striking authenticity of neighbouring Tsumago. Tsumago is known today as one of the best preserved historical towns in Japan and walking along its car free streets is like stepping back in time to the early Edo Period, where Samurai walked the streets. Overnight in traditional Japanese Minshuku staying in a Japanese style bedroom sleeping on futon beds. 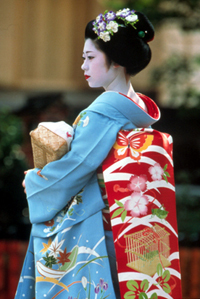 After breakfast at your Minshuku, take the unassisted train transfers to Kyoto via Nagoya. Upon arrival at JR kyoto station, take a short walk to your accommodation situated close by. Our Standard accommodation is the New Miyako hotel or similar (Our budget accommodation will require an additional short subway/taxi journey). The rest of the day is free at leisure in Kyoto. In the morning take the train to Himeji. We then have a full day walking tour, including visiting Himeji castle, which is concidered one of the greatest and most beautiful castles in Japan. 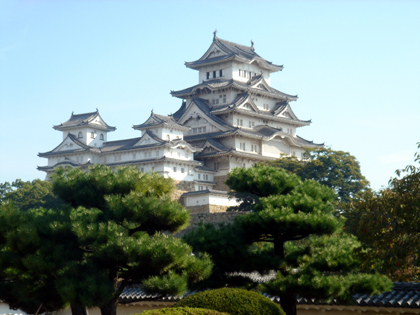 Himeji castle has only recently been fully restored, after 5 years of intensive renovation. After Japanese style lunch, we travel to Maiko by train with our guide. 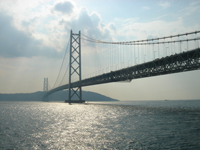 Upon arrival we enjoy walking along Maiko Marine Promenade and visiting Akashi Kaikyo Suspension Bridge, the longest suspension bridge in the world and truely a breath taking feet of Civil Engineering. Afterwards return to Himeji by train. For your convenience and due to luggage restriction on the bullet train, we have arrange free luggage transfer to take your large luggage directly to Osaka (1 bag per person). 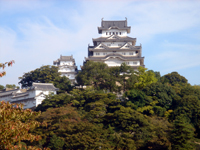 Therefore prepare an light carry bag for your stay in Himeji and Hiroshima. Check out of your hotel and leave your luggage with the bell boy. 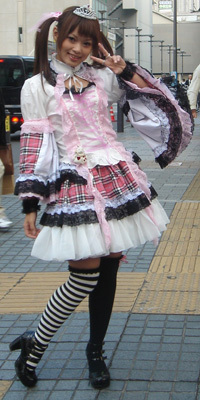 Then you have free time to explore Himeji on your own. 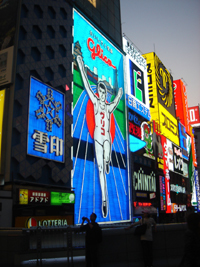 In the afternoon proceed to Himeji station and board your train to Hiroshima. Upon arrival self transfer to your hotel, which is conveniently located near the station. With the Hiroden free pass, enjoy a free day to explore the many sights and attractions of Hiroshima and nearby Miyajima island. The Hiroden pass includes free local street car (tram) use, Lunch discount Voucher at Okonomi-mura (speciality of Hiroshima) and a night cruise of Miyajima island. 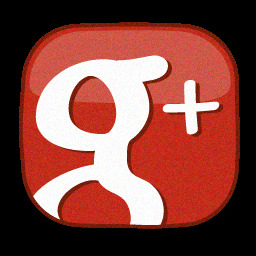 We will provide you with a guide itinerary to follow. Alternatively take an optional full day tour of Hiroshima and Miyajima to ensure you see all the must-see sights. 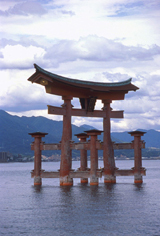 The optional tour including visiting Itsukushima Shrine at Miyajima with its breathtaking beauty and tranquil atmosphere. Then we explore the Peace Memorial Park in Hiroshima, near the epicenter where the atomic bomb exploded. We also visit the Hiroshima Peace Memorial Museum. Return to your hotel in Hiroshima. Entrance fees to all attractions as stated in itinerary, during guided tours (Not during free time). Free luggage transfer from hotel to hotel between Tokyo - Kyoto, Kyoto - Osaka (1 item per person). Hiroden 1 Day tour voucher - Hiroden street car pass, lunch discount vouchers at designated restaurant & night cruise of Miyajima island. Local bus or taxi fare from/to Nagiso station to Tsumago accommodation (7-9min journey). Budget accommodation in Kyoto may requires guests to make their own travel arrangements to the nearest tour pickup point, which departs from the lobby of our standard hotel. Details will be provided for your assistance.